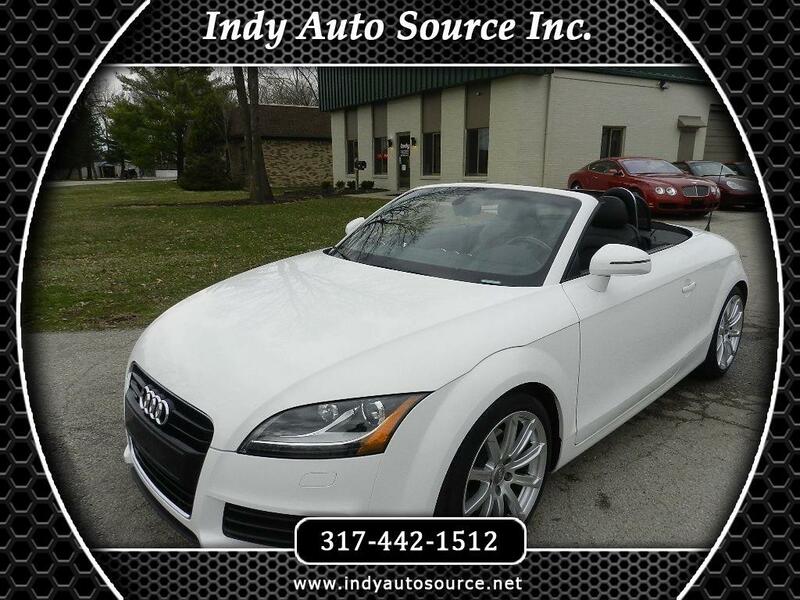 Used 2013 Audi TT 2.0T Roadster quattro S tronic for Sale in Carmel IN 46032 Indy Auto Source Inc.
2013 Audi TT Premium Plus Quattro with only 4,500 miles per year and very affordable monthly payments of $429 per month with no money down other than sales tax and lender approval. Premium features include; turbo charged 2.0L engine, automatic transmission, leather and suede seating, navigation, rear spoiler, power convertible top, premium audio with satellite radio, side air bags along with anti lock brakes and traction control. Fully inspected, serviced and includes a 30 day 3,000 mile warranty. Apply online at indyautosource.net. Call Craig Miller today at 317-442-1512 to schedule a test drive. Be sure to read our customer reviews on both Cars.com Dealer Reviews and Google Reviews by using our links located in the top right corner of our homepage at indyautosource.net. Premium vehicles fair pricing and no hassle shopping. Save hundreds with no surprise dealer profit fees such as; Documentation, Loan Origination Fees, Etch Theft Protection, Dealer Prep or Nitrogen in the tires. Deal direct with the owner Craig Miller 317-442-1512. Message: Thought you might be interested in this 2013 Audi TT.